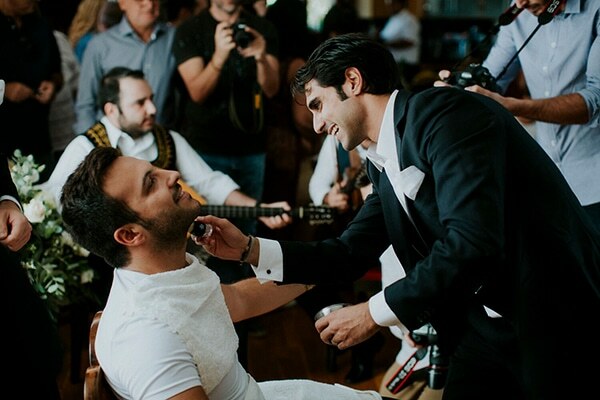 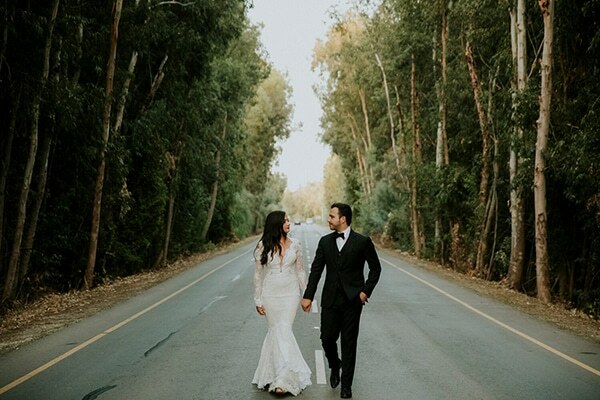 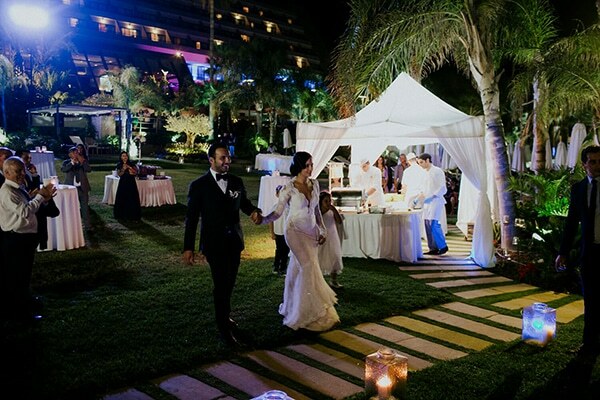 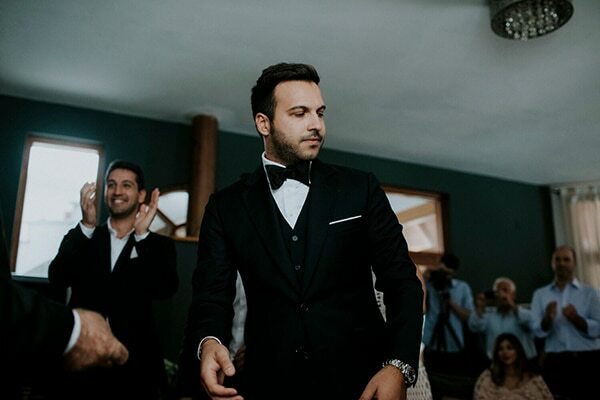 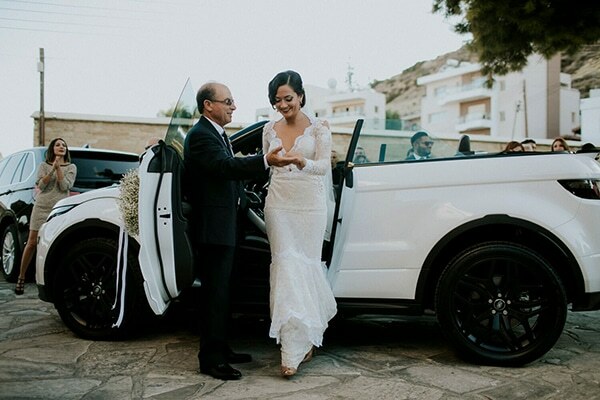 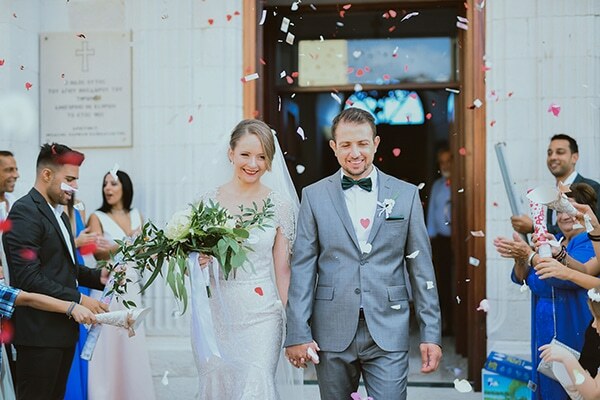 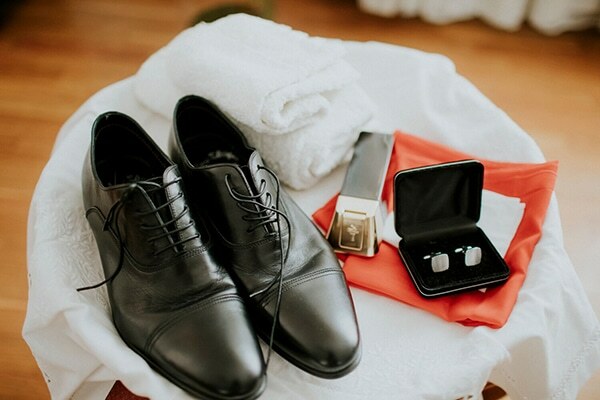 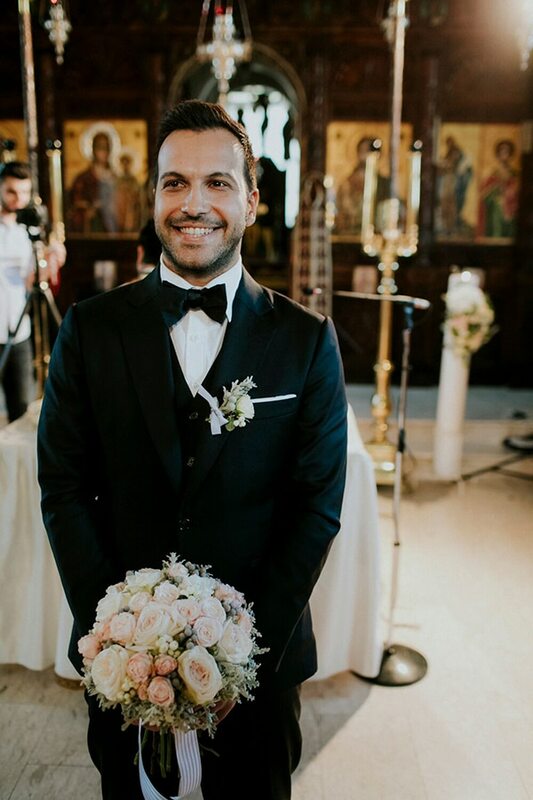 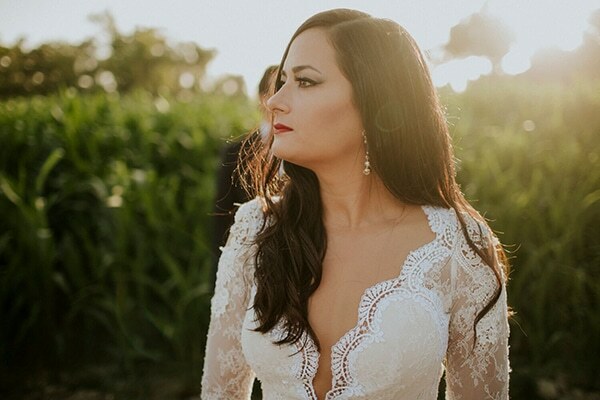 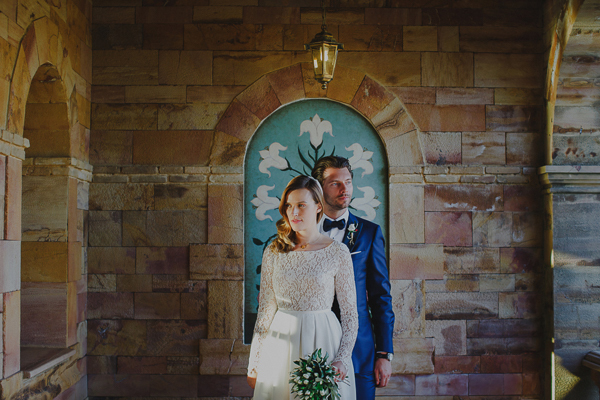 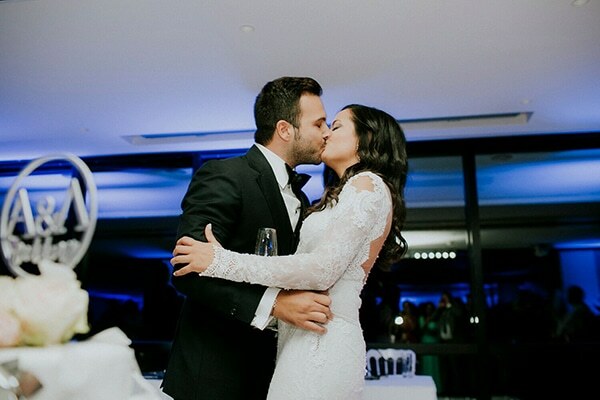 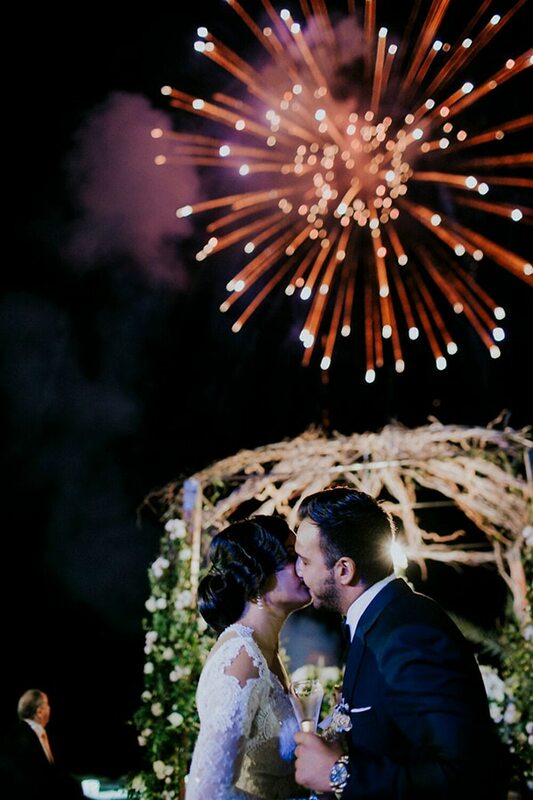 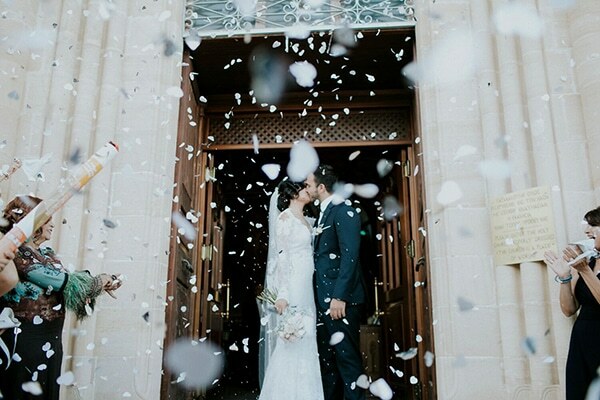 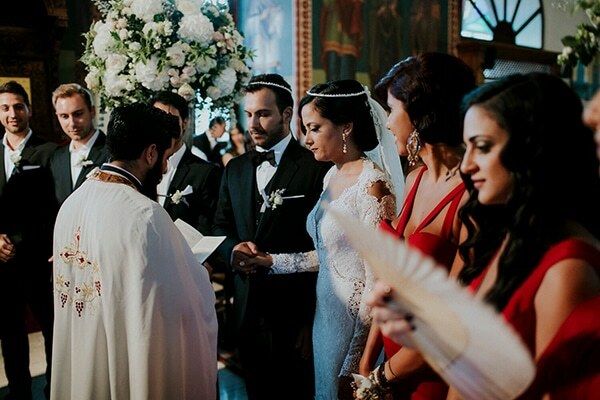 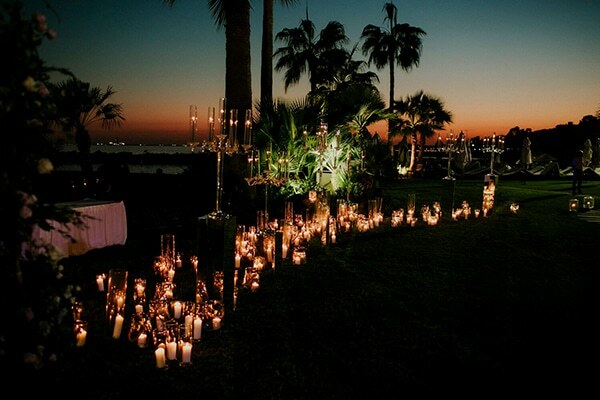 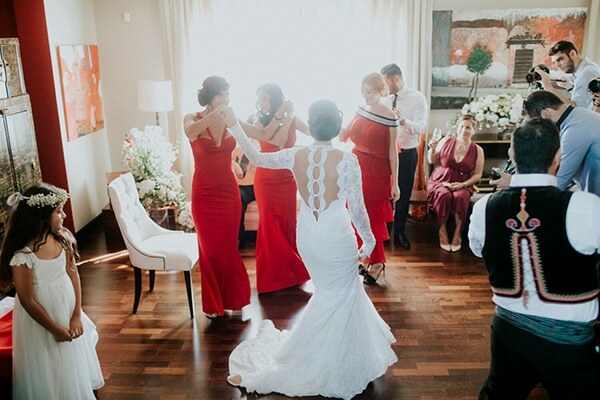 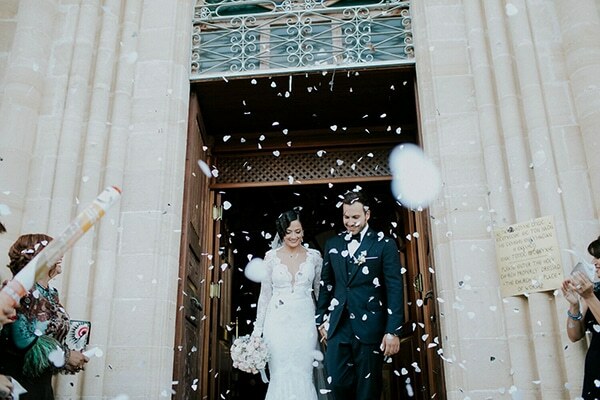 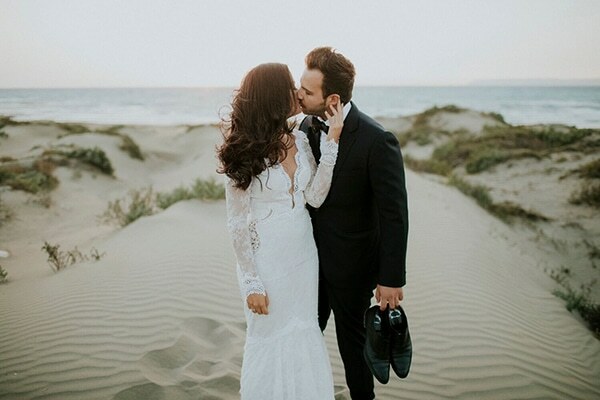 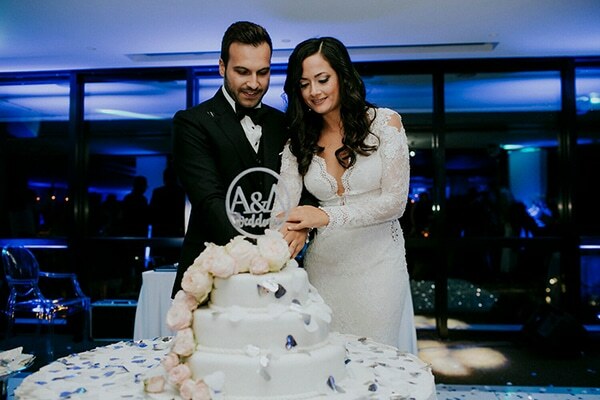 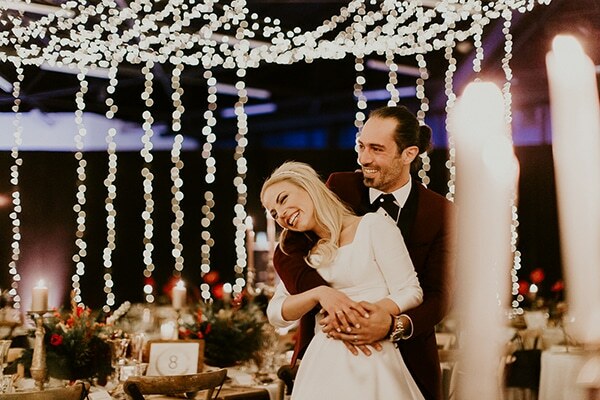 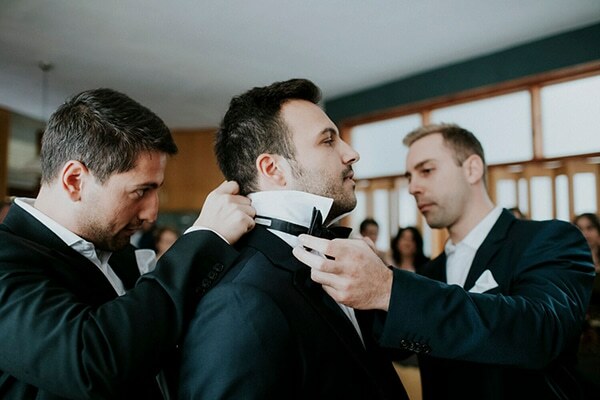 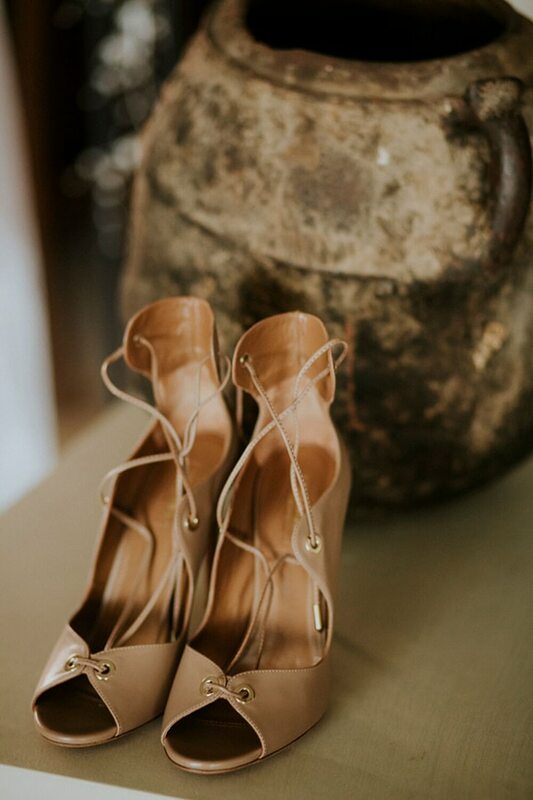 We are sharing today an elegant fall wedding in Cyprus that will mesmerize you! 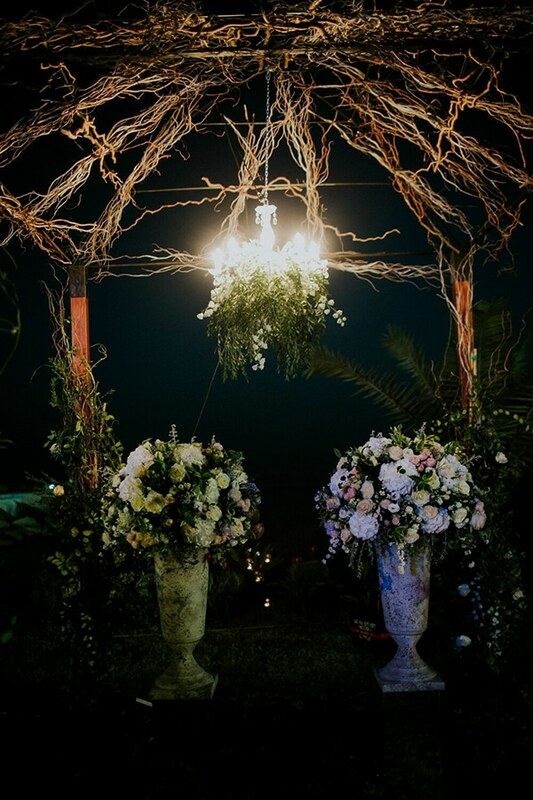 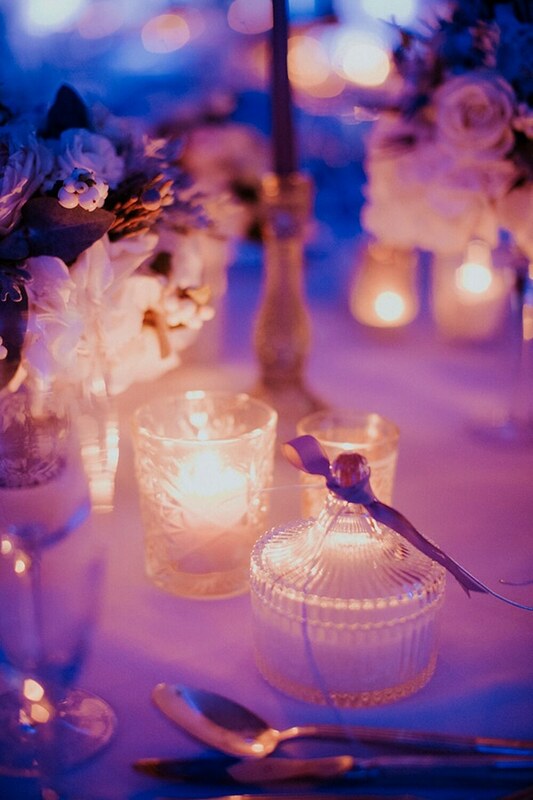 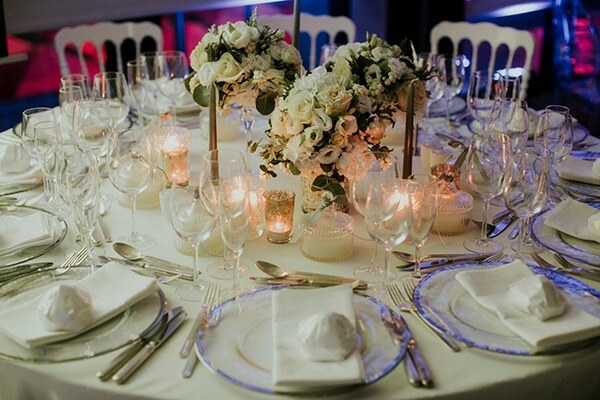 We are loving the chic Berta wedding dress and the beautiful decoration with crystal candlesticks by Fresh Events! 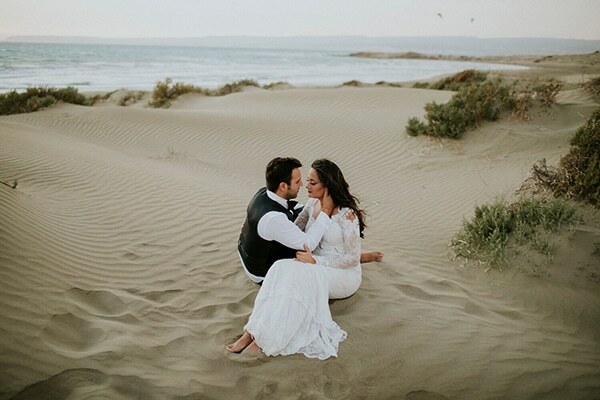 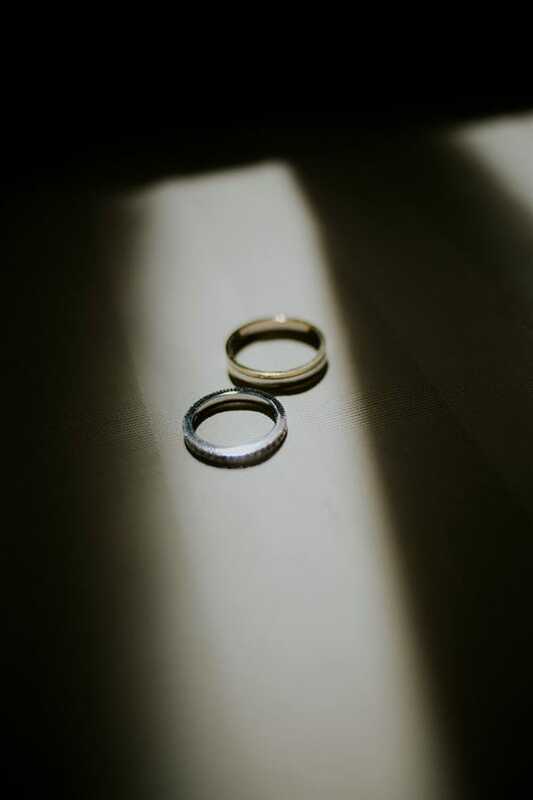 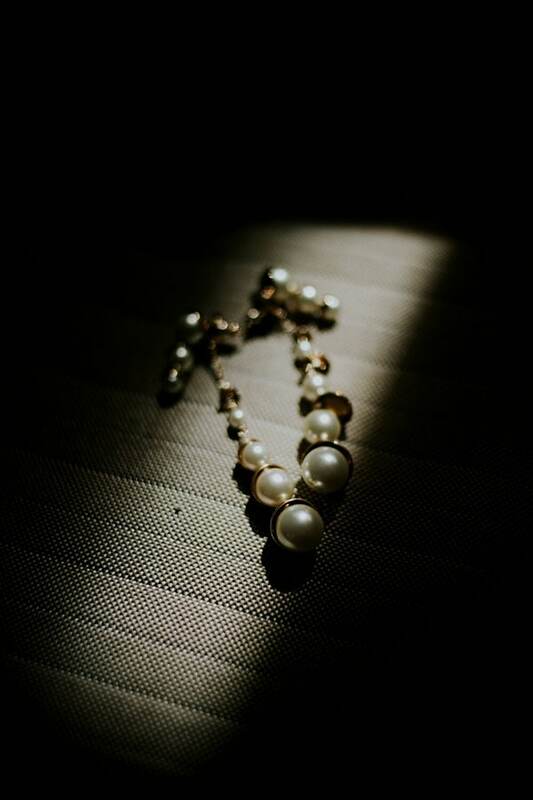 “We met when we were very young, through common friends, but we became a couple many years later when both of us were at the right phase in our lives. 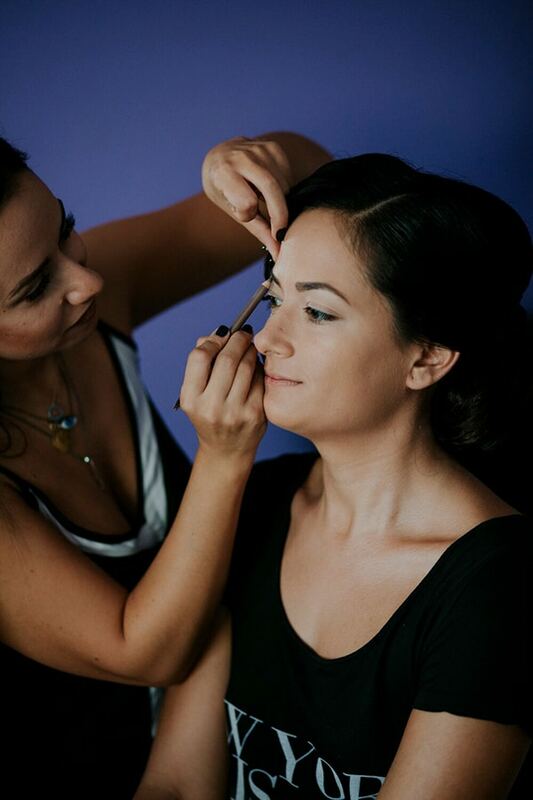 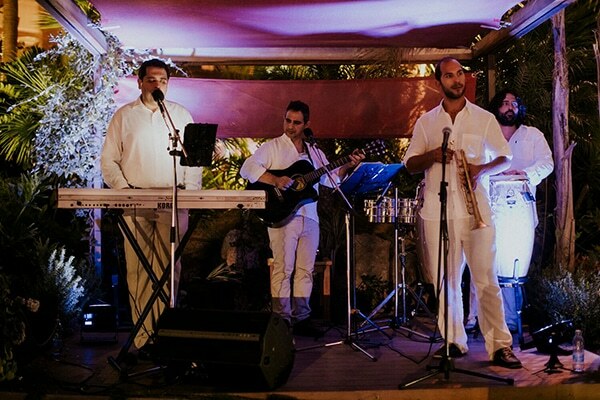 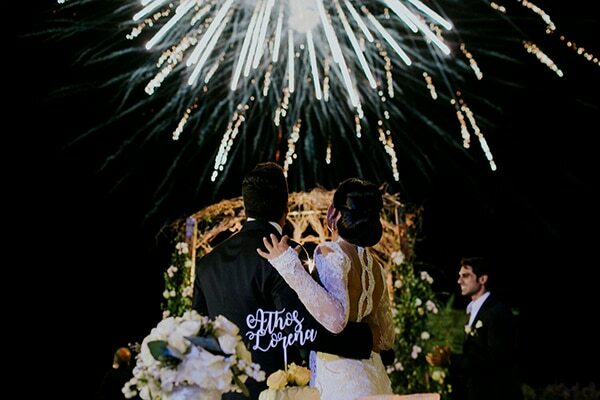 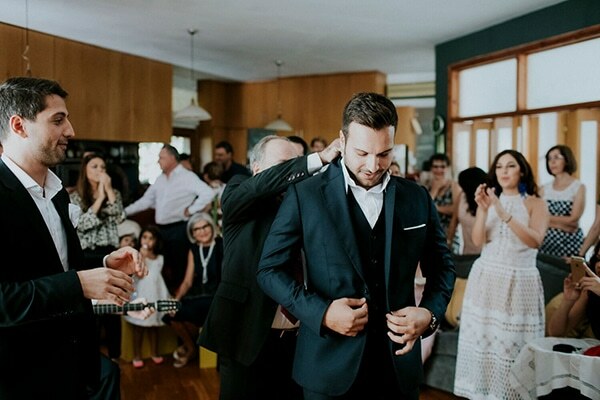 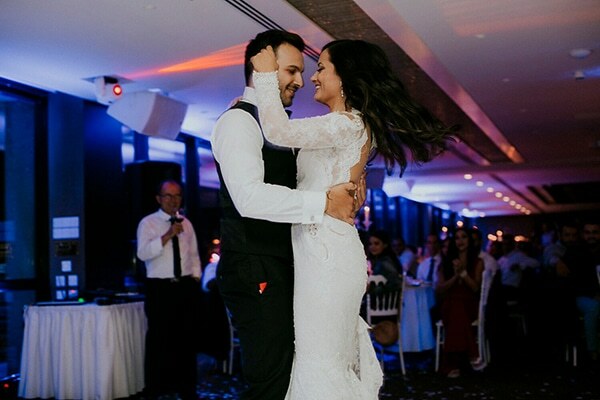 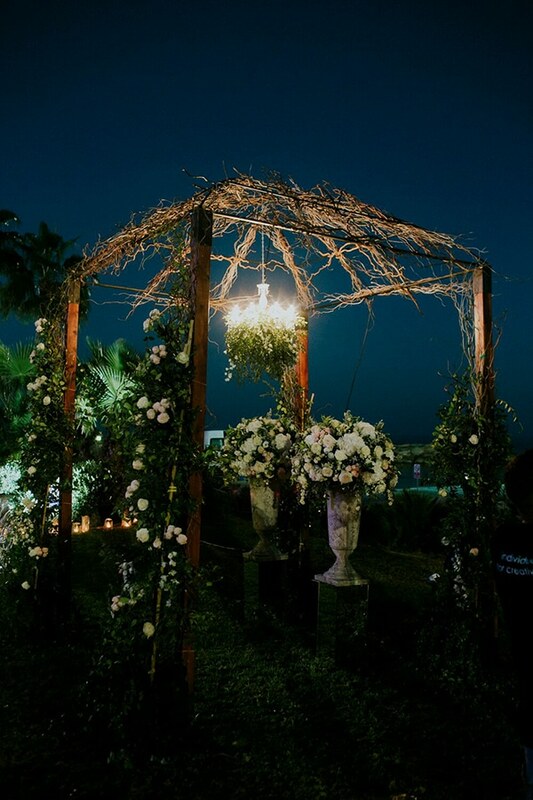 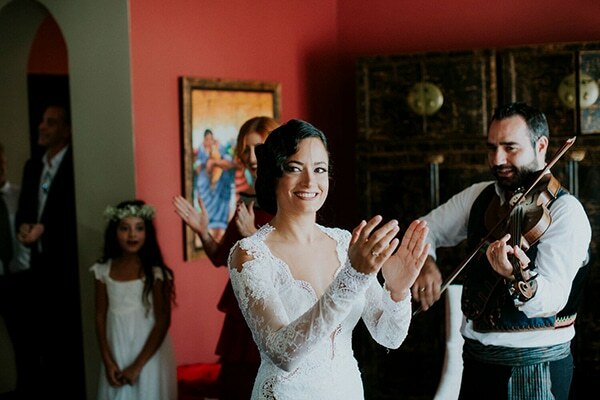 The wedding proposal took place at Lykavitos, overlooking Athens”, the bride shared with us. 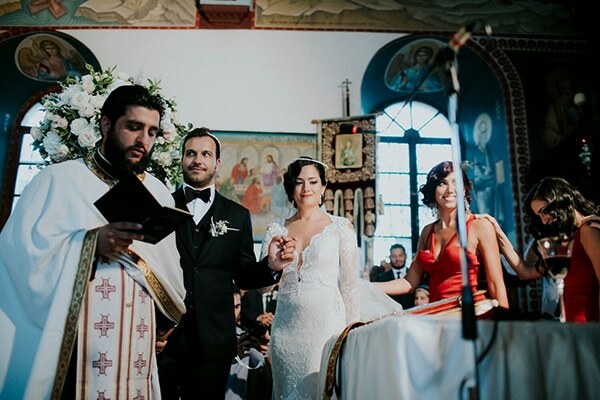 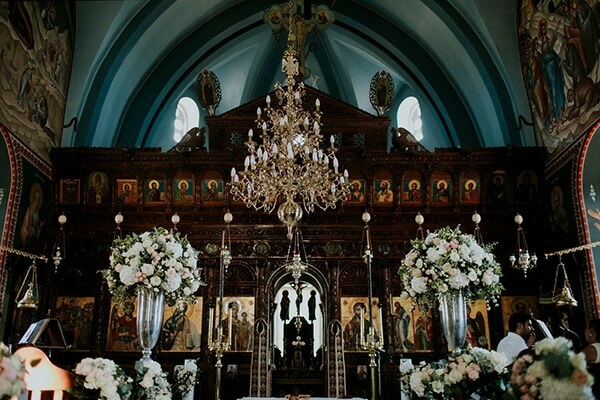 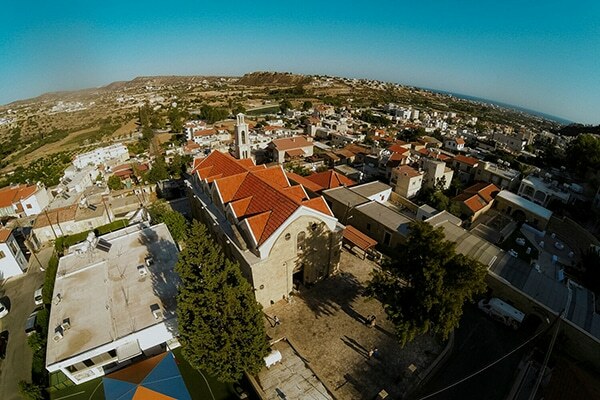 “We got married in autumn at Agias Paraskevis church in Germasogeia”. 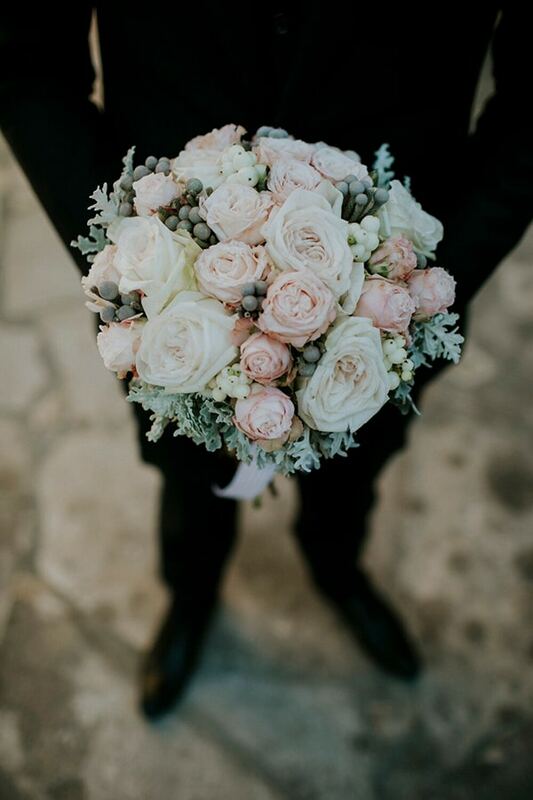 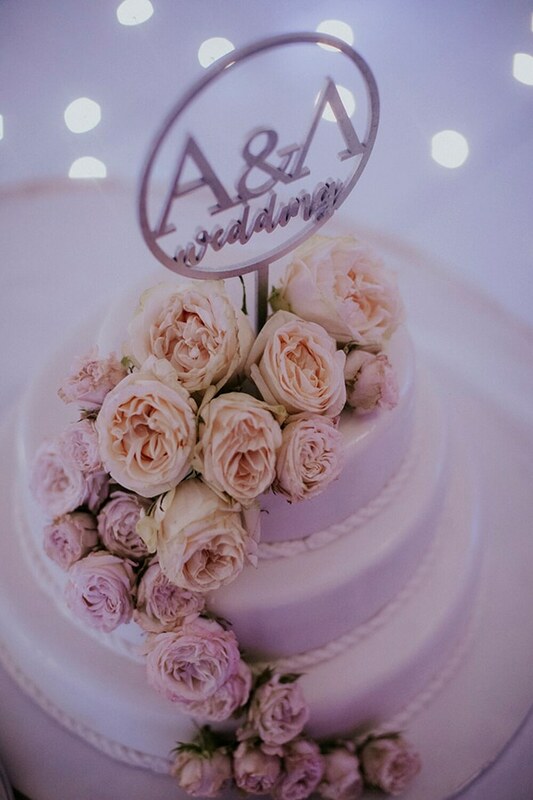 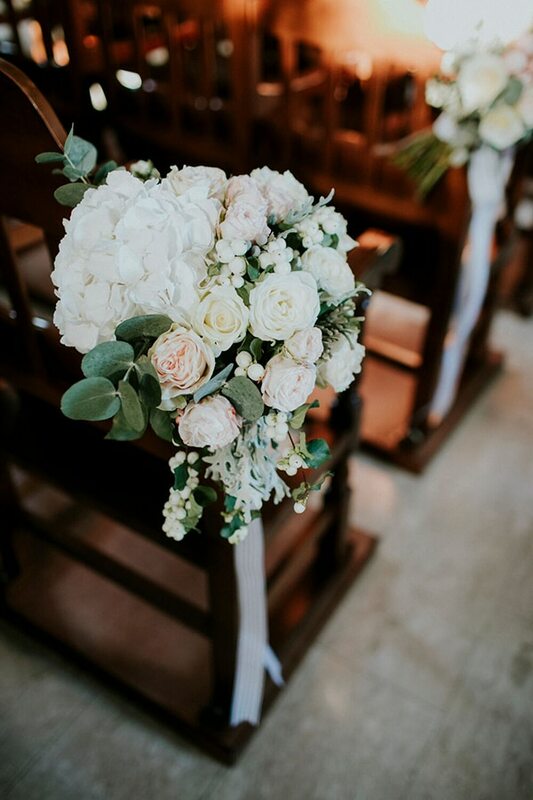 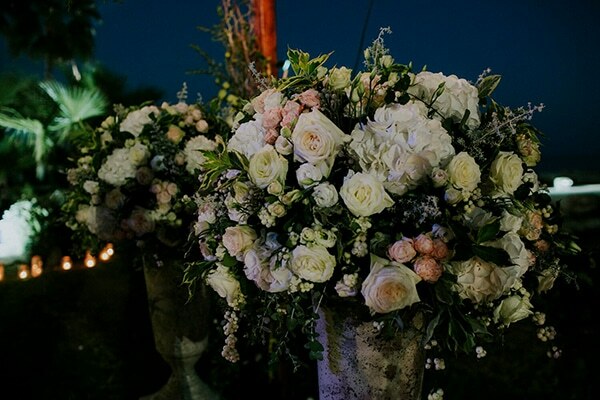 “My bridal bouquet had small white and pink roses”. 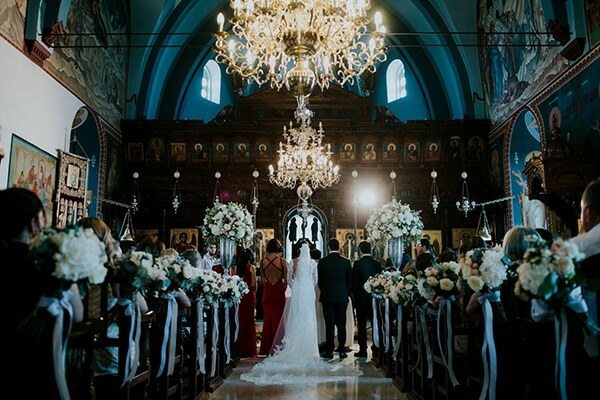 “My favorite moment from our wedding day was the moment I arrived at church holding my dad’s hand and I saw Athos waiting for me. 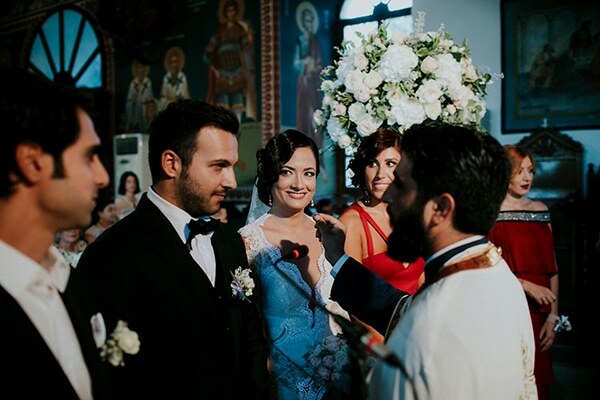 The happines and love I felt that moment from Athos, my parents and everyone there could not be described”. 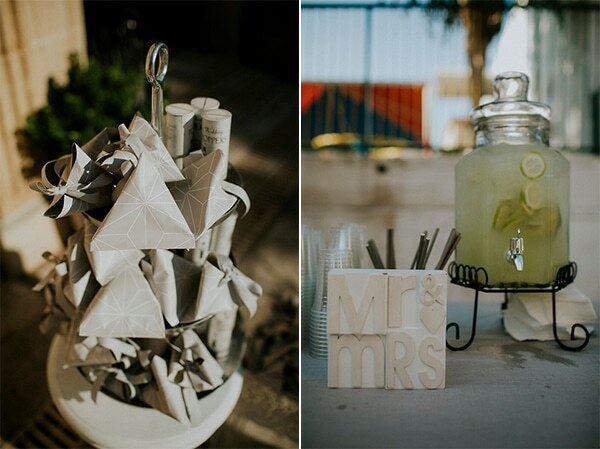 “For the decoration we used neutral colors, such as white, pale pink and grey. 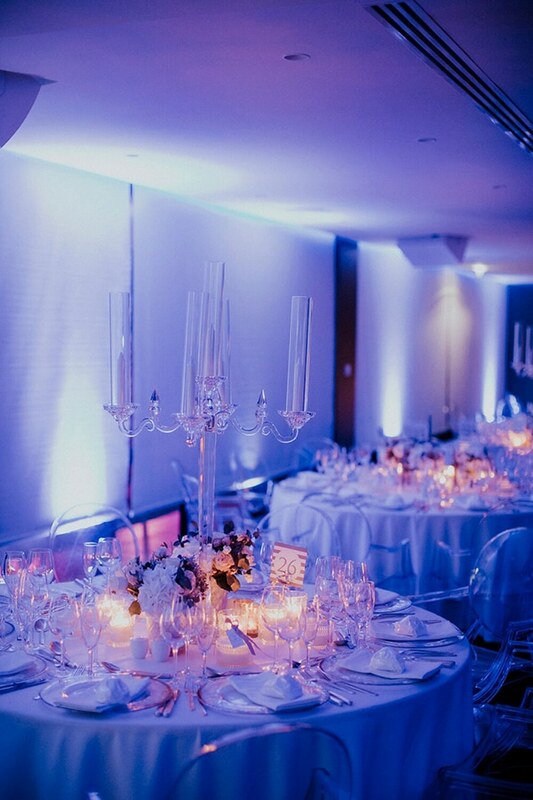 Some details we really liked were the modern crystal candlesticks in combination with the kartell transparent chairs we used at dinner, as well as the fabulous gazebo set up at our cocktail party”. 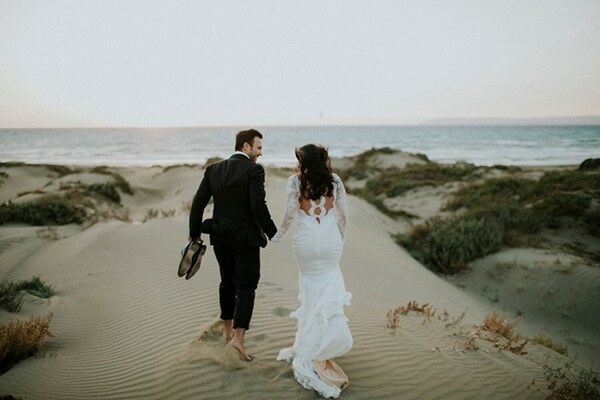 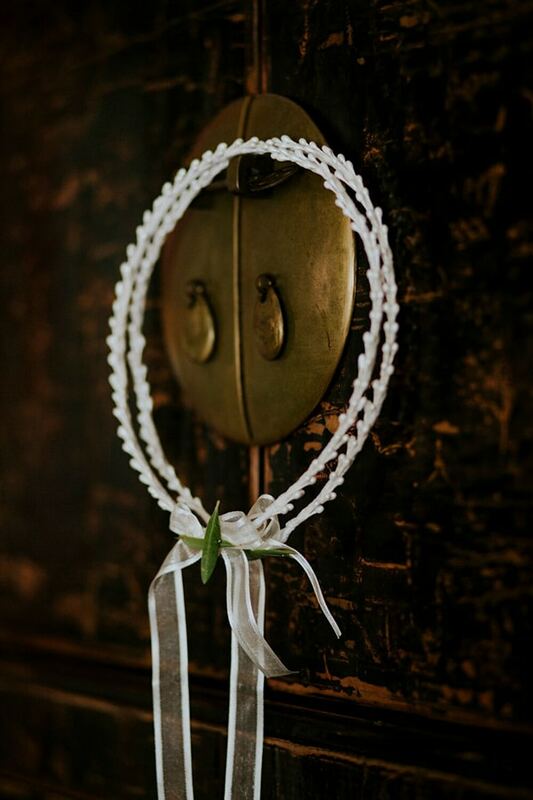 “My advice to all brides-to-be is not to stress about how everything will be that day. 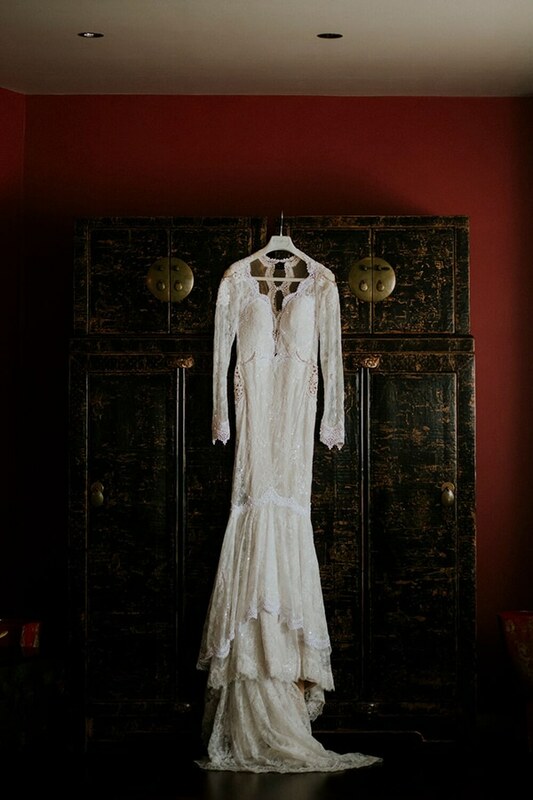 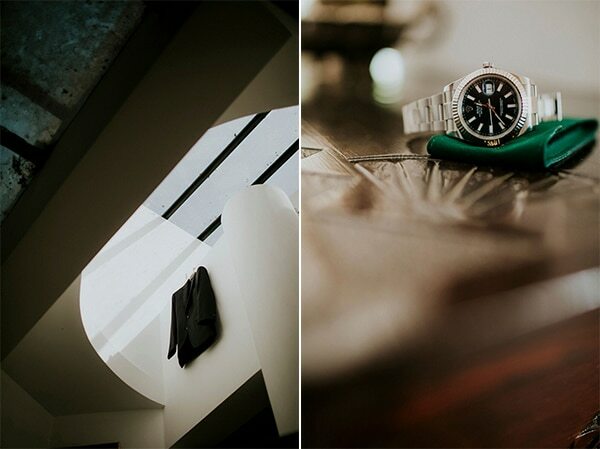 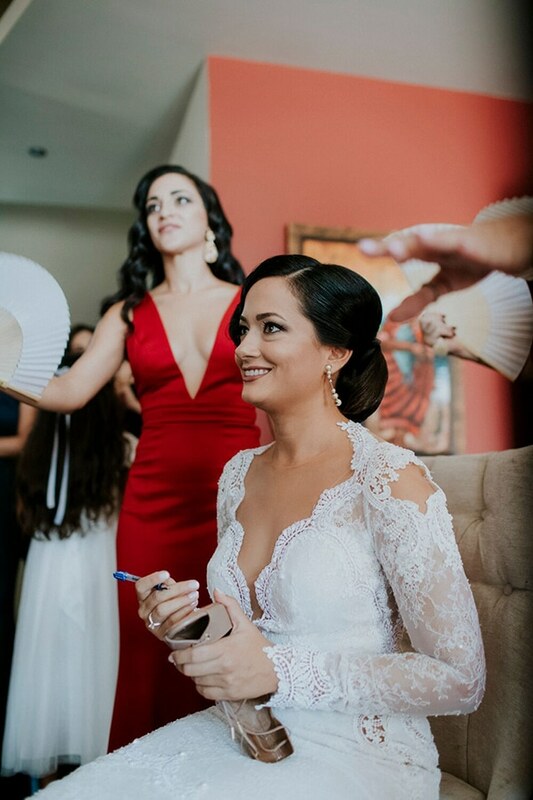 Time passes quickly, so the best thing a bride can do is to relax and enjoy every moment”.